The Predator, looking to... predate... I guess. Look, I don’t know if The Predator, a soft reboot of the franchise directed by Shane Black, is going to be good. We haven’t been super impressed in the past. But I do know that, in this new footage, two Predators fight each other. And I am here for that. Okay, maybe I’m overstating this a bit. It’s a short clip. But the promise, y’all. The promise. A Predator bodying another Predator. Show me that movie. I’m ready, in the deepest recesses of my heart. 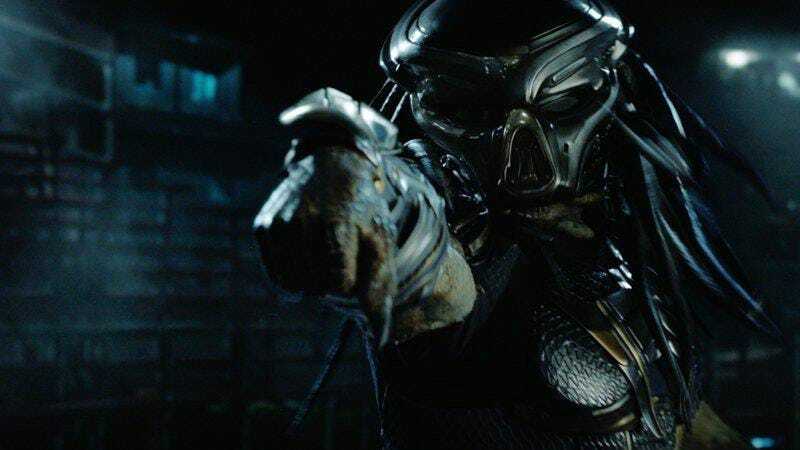 The rest of the TV spot isn’t that much of a departure from the original trailer, showing the basic premise of the movie, with the promise of lots of Predator-related carnage. But, y’all. Two Predators? Two. This is why I watch movies like this. Check out the TV spot, which aired during an NBA Finals game last night, below. The footage online so far isn’t super high-quality, so apologies: I’ll update if and when I see an official HD link.